According to Shams Charania, 25 year old big man Joffrey Lauvergne has agreed to a deal with the San Antonio Spurs. Lauvergne split time between Oklahoma City and Chicago last year as he was traded in the Taj Gibson deal. The terms of the contract have not been released yet, but I would assume that Lauvergne will sign for the veteran minimum. Lauvergne averaged 5.4 PPG and 3.6 RPG. 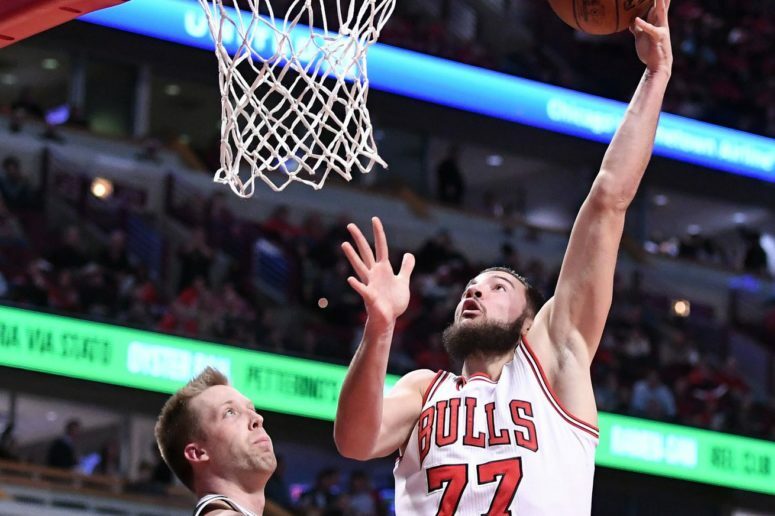 Could Lauvergne be the next Dedmon like find for the Spurs? Lauvergne offers the ability to stretch the floor and can score when given the opportunity. Here are a couple of highlight videos to show what Lauvergne can bring to the table.